The presidential Council for Human Rights has come up with the initiative to ban officials denying the crimes of Stalin’s totalitarian regime from state service. 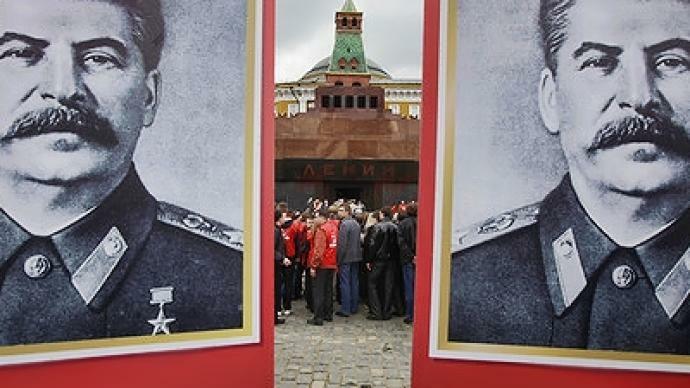 ­A working group within the council has released Russia’s “destalinization plan”, which, among other priorities, includes the eventual burial of Lenin’s body still resting in the mausoleum in the very heart of Moscow. The council is pushing for the adoption of a nationwide program for the perpetuation of the memory of the victims of the totalitarian regime and national reconciliation. They passed the first proposals to President Dmitry Medvedev during a session in Ekaterinburg on February 1, 2011. The authors of the program believe that anti-totalitarianism should be made part of Russia’s official policies. The head of the presidential Council for Human Rights, Mikhail Fedotov, told Kommersant daily that the program should be implemented “by non-government organizations, but financial and political support is needed from the state. As for practical issues, the authors of the document say there is a need for a toponymy law which would forbid “the immortalization of persons responsible for mass repressions and other grave crimes against civil rights and freedoms”. They also suggest that the president’s speech on the commemoration day for victims of political repressions on October 30, should become a tradition. In 2009, president Medvedev in his address said that Stalin’s repressions cannot be justified and stressed that the memory of the victims and national tragedies is as sacred as the memory of triumph. Among other things, the council is working on the creation of large-scale memorials near Moscow and St. Petersburg. The Communist Party has condemned the plan calling it a trick to detract attention from the forthcoming parliamentary and presidential elections. The party’s deputy head Ivan Melnikov said the initiative is against the constitution. “To forbid state officials to deny things linked to ideology and history means the violation of the constitution which gives everyone the right to do, think, whatever they want,” he said. Mikhail Fedotov says the goal of the program is to let people feel free in their country. Political repressions are inseparable from Stalin’s name, who made them the basis of his domestic policies. Starting in the 1920s, they reached their peak in 1937-1938, when over 1.5 million people were arrested, almost half of which were killed. According to archive documents, an estimated 1.76 million people died in prisons and camps between 1930 and 1953. But some historians put the figure between 4 and 6 million.